Description: 5.5-8.5 in. 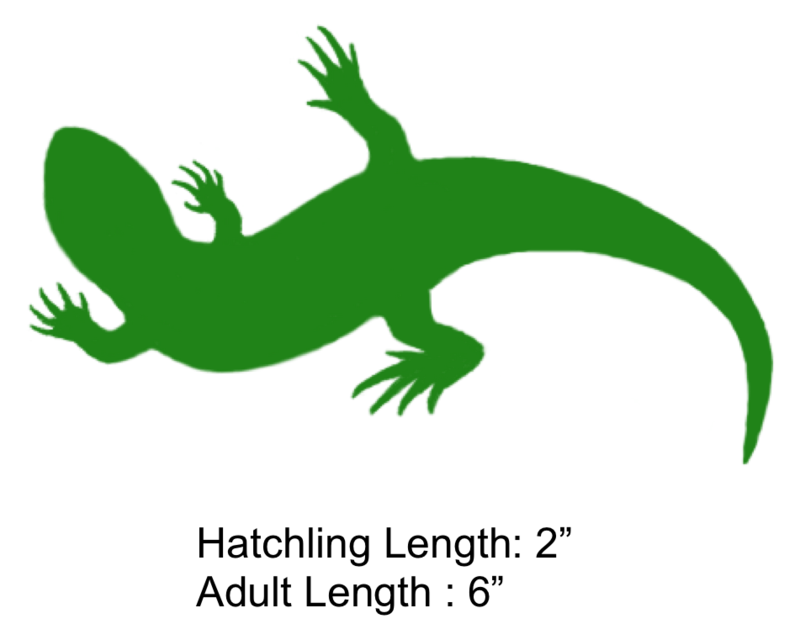 (14-21.6 cm) Like five-lined skinks, southeastern five-lined skinks usually have five light stripes on a brown or black background. Adult males often develop orange-brown coloration on their head, especially during the spring breeding season. 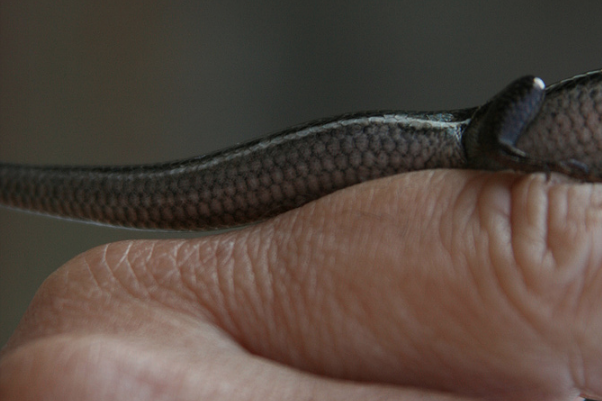 Young have narrow yellow or orange stripes on a shiny black background and a bright blue tail. 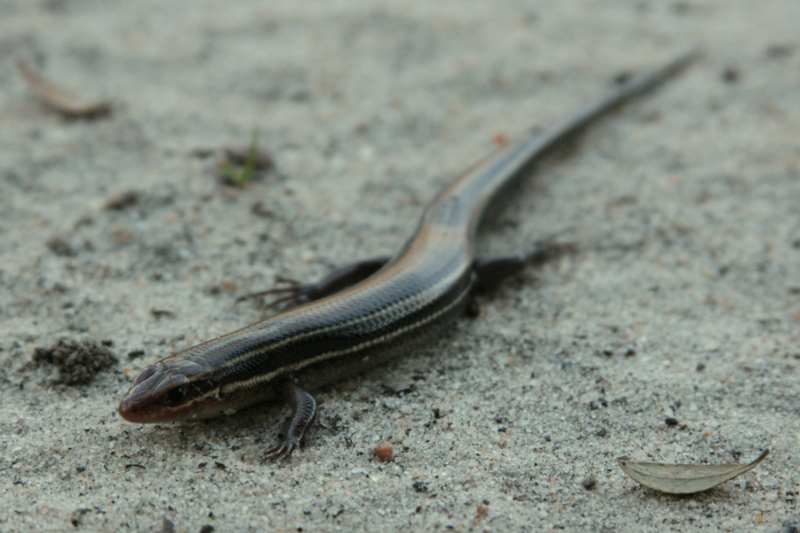 Southeastern five-lined skinks can be distinguished from other skinks in this region by the scales on the underside of their tails which are all about the same size. Feeding/Diet: This species usually eats spiders, insects, and other arthropods. 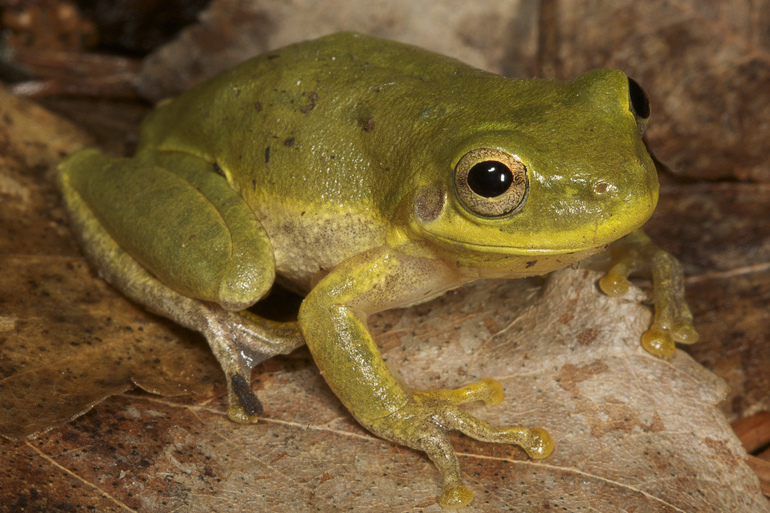 Habitat/Range: This species is found throughout the eastern and central portions of North Carolina. They are also found in a great variety of habitats but are most common in dry, sandy environments. Being quite common on the coastal plain, this species thrives on many small seashore islands that have no fresh water and little vegetation. They climb well but are often found on the ground. 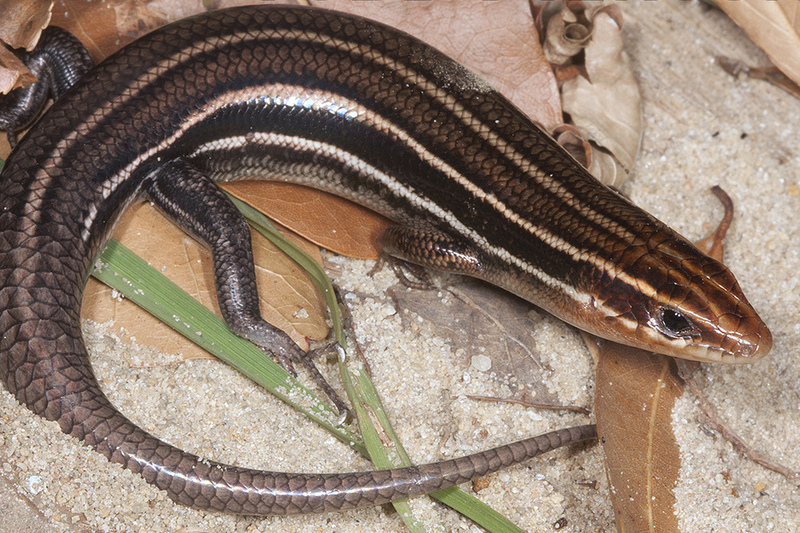 Reproduction: Female southeastern five-lined skinks lay 3 to 10 eggs in rotten logs and stumps or under other cover objects. Miscellaneous: Skinks, particularly young individuals with blue tails, are often called “scorpions” and are thought to have a venomous sting. This myth is false, and although a large skink can deliver a powerful nip, no lizards in the Southeastern United States are dangerous to humans. The shaded region represents the range of the Southeastern Five-Lined Skink in North Carolina.